Indians Baseball Cards: Tribecards from Outer Space: All-star in the Pack? Tribecards from Outer Space: All-star in the Pack? Well, the All-Star lists have been posted. I hope your favorite players snagged a couple spots on the roster this year. The Tribe is sending Kipnis and Masterson. The Pirates, who haven't had a season like this one since the 70's, are sending Andrew McCutchen, Pedro Alvarez, Jason Grilli and Jeff Locke. 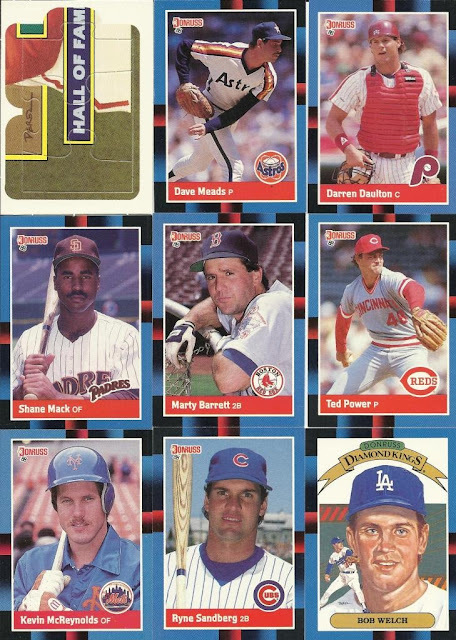 I have a feeling the All-Star Game will have very little to do with tonight's random pack: 1988 Donruss. Puzzle and 15 cards per pack. Not surprisingly, we only had one player in the pack to have been an All-Star at the time this pack was made. On the other hand, congrats to all the managers that snagged up cards!